The long-standing support that EASO has been providing to the Bulgarian authorities was formally concluded on 27 November 2018 on the sidelines of the meeting of the 30th EASO Management Board, held in Vienna. Signed on 5 December 2014, the Special Support Plan focused on capacity building in a number of areas, such as unaccompanied minors; vulnerability assessment; reception; quality of the asylum procedure; country of origin information and supporting the asylum decision process. The Special Support Plan replaced the Operating Plan signed by Bulgaria and EASO in 2013. The Special Support Plan was amended and extended three times over the past four years in order to adapt to the changing needs of the Bulgarian authorities. More details can be found here. 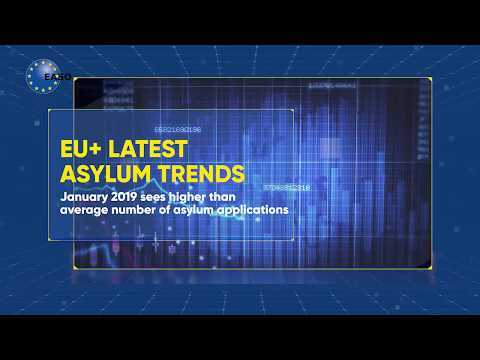 The successful conclusion of EASO’s operations in Bulgaria comes as a result of the reduced pressures on its asylum and reception system, as well as the strong enhancement registered in the country’s capacity. EASO welcomes the excellent cooperation which has been fostered with the Bulgarian authorities over the past years, both in the context of the Agency’s operational support, as well as in the many other areas of collaboration to improve the implementation of the Common European Asylum System. Photo: Jamil Addou (l), Executive Director of EASO, Petya Parvanova (c), Bulgarian delegate to the EASO Management Board, and Wolfgang Taucher (r), Chair of the EASO Management Board, mark the successful completion of the Agency’s special support in Bulgaria.